Bingyun Yan, Xiaotong Zheng*, Pandeng Tang, Huikai Yang, Jing He, Shaobing Zhou. 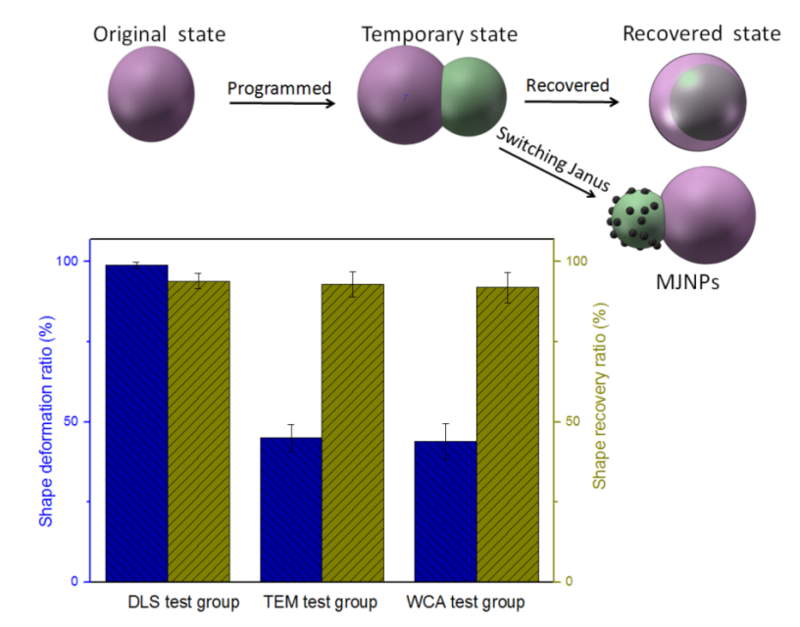 Investigating Switchable Nanostructures in Shape Memory Process for Amphipathic Janus Nanoparticles. ACS Appl. Mater. Interfaces 2018, DOI: 10.1021/acsami.8b11276. Jinlong Zhang, Xiaotong Zheng*, Fengluan Wu, Bingyun Yan, Shaobing Zhou, Shuxin Qu, Jie Weng. Shape Memory Actuation of Janus Nanoparticles with Amphipathic Cross-Linked Network.ACS Macro Letters, 2016;5;1317-1321.